In case any of you missed it, the 12 Days of Christmas Giveaway is still in progress! Right now War Games is available free until New Year's Day, while The Epic of Reformation is coming up free from the 1st of January till the 5th. If you missed out on the free Rakshasa's Bride novella, that's still available, now for $0.99. Or, email me at rosa (dot) gaudea (at) gmail (dot) com and I'll be thrilled to send you a copy for free! I'm still trying, and failing, to beat my previous record: in 2012 I read 89 books. This year I only managed 80, still 7 better than last year. Which isn't doing so badly, given that I spent another good three months in 2014 travelling and working away from home. 2014 was a year with a lot of firsts for me. I decided to open Vintage Novels to a wider array of material: some non-fiction reviews, some contemporary-fiction reviews, and of course, updates on my own writing. This has meant a bit of a dip in the number of vintage books I've reviewed. 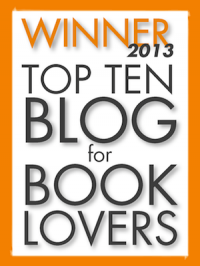 While I've thoroughly enjoyed making the acquaintance of many, many excellent contemporary writers this year--from KM Weiland and Jennifer Freitag to Andrew Peterson and Anne Elisabeth Stengl--I feel that Vintage Novels is primarily helpful in its own little niche reviewing vintage and classic literature. With that in mind, my aim for 2015 is to post a little less often--once a week instead of twice--and narrow my focus again to older and more obscure books. However, I do expect to continue my voyage of discovery into contemporary literature--if you're interested in keeping abreast of this, do feel free to follow me on Goodreads! I aim to give this a more thorough review in the new year. Suffice it to say that this was gripping, well-written, made me laugh, made me cry, made me yell, "Yikes!" about once a page. 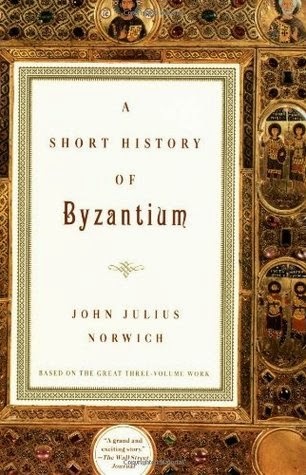 I had never read any Byzantine history before, so I came to it practically ignorant and spent the following two weeks with my jaw more or less permanently on the floor. Five stars to the Author of History; four stars to Norwich, who tells the story with the relish of a born raconteur. I was spoiled for fiction this year. I really was. My Annual Epic for 2013-2014 was Tasso's Jerusalem Delivered, the epic of the First Crusade, complete with lady knights, wicked but lovely enchantresses, menacing slo-mo Saracen enchanters, and (le sigh) Godfrey of Bouillon. I dipped my toes back into some Tim Powers, and was surprised to quite enjoy The Anubis Gates. I continued my slow march through the Barchester Chronicles with the wonderful Framley Parsonage, which shared some surprising themes with That Hideous Strength. Speaking of which, re-reading the Cosmic Trilogy was one of the highlights of my year. Meanwhile, the Wilsons, pater and filius, made their way to my bookshelves in two of their best books yet. While ND Wilson's Ashtown Burials series sometimes strikes me as a sprawling, chaotic mess, Boys of Blur was a light, tight, smart and epic standalone based on Beowulf. Even better, Douglas Wilson's Evangellyfish, a merciless satire of mega-church evangelicalism, is like an unholy union of Wodehouse, Mencken, and Trollope, with lashings of Bierce, Tolkien, and whoever else he could lay his irreverent hands on. But my favourite novel this year? No contest (and no surprise). I had the pleasure of reading this sprawling and lavish plantary fantasy novel several months before its release in October. I've been raving about it ever since. Its atmosphere, setting, writing style, and characters were all intense, vivid, dramatic, and (to me) irresistible. Since the book's release, I've had the pleasure of discussing it further with some friends who found its flaws more problematic. Schuyler of My Lady Bibliophile and Christina of Baehrly Reading have both provided helpful critical reviews which I'd encourage you to investigate. I think they both identify some real shortcomings (which I, gulping the story with stars in my eyes, did not see), and for the sake of those who rely on my recommendations, I wish I'd benefited from their insight back when I wrote my review. Nevertheless Plenilune remains the most compelling, enjoyable, spectacularly gorgeous book I've read in a good long time. If its faults are serious, its strengths are titanic. It gripped and thrilled me as a reader; it challenged, awed, and inspired me as a writer. I look forward to the next offering from this authors pen. No celebration of 2014 would be complete without noting a few personal milestones. I had published my first little ebook, The Epic of Reformation, in 2013. May 2014 saw the publication of a much longer book, War Games: Classic Fiction for the Christian Life (free on Amazon for just a couple more days! Grab it!). Schuyler was kind enough to give it a rave review which you can read here. August 2014 was the month I finally revealed the existence of Pendragon's Heir, my upcoming Arthurian fantasy novel! Just a couple of weeks ago, I was able to reveal a release date: March 26, 2015, just three months short of the 10-year anniversary of the first draft. I am terrifically excited about this. Those who've already read the novel have responded with great excitement and enthusiasm. Meanwhile the novel's currently off getting a final polish under some different eyes than mine, and meanwhile a friend has offered to help with various aspects of the cover and interior design--which I couldn't be more thrilled about, since I'm a big fan of his work. 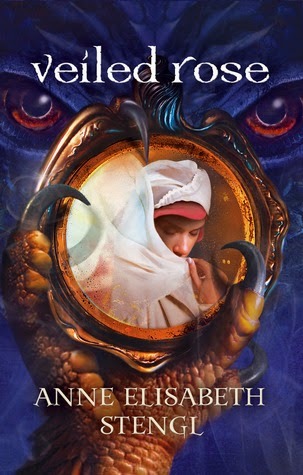 Finally, a few weeks ago I had some time off Pendragon's Heir, and used it to knock together something new--a fairy tale novella, The Rakshasa's Bride, which became my fiction debut when I published it as a surprise on Christmas Eve. (Feast your eyes on Pinterest). The free period is over, but you can either get it on Amazon for $0.99, or shoot me an email (rosa[dot]gaudea[at]gmail[dot]com) with your preferred format and I'll get it to you. Well, I am officially on holiday until after I've read my Annual Epic, so I'll push off and bury my nose in that, wishing you all the best for the New Year! 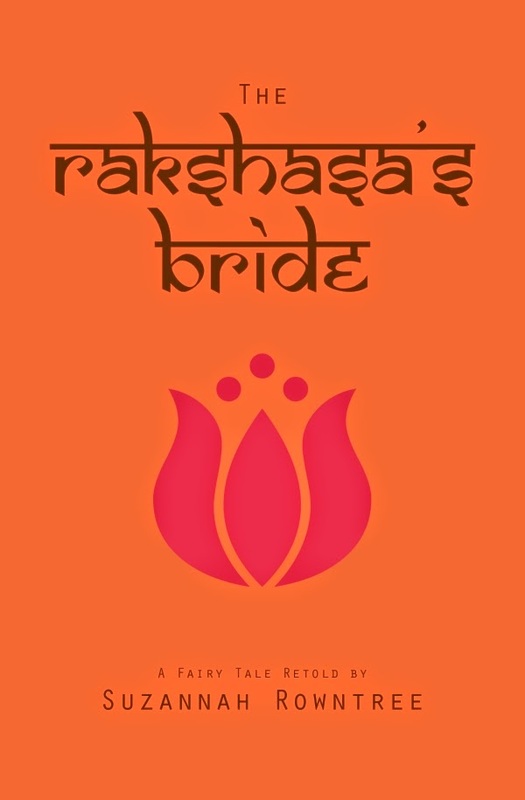 Announcing The Rakshasa's Bride + 12 Days of Christmas Giveaway! The Rakshasa's Bride will be free from the 25th to the 29th of December. War Games will be free from the 28th of December to the 1st of January. The Epic of Reformation will be free from the 1st to the 5th of January. So, what's The Rakshasa's Bride? Well, with Pendragon's Heir away at the cleaner's last November, I was at a loose end and decided to (gasp!) write something new for a change. Preeti Kamla has the evil eye. It’s the only explanation for the tragedy and disgrace besetting her once wealthy family. But when a handsome stranger in the village square tells her he has broken her curse, Preeti almost believes him. Until a twist of fate whisks her away from everything she knows, and the gruesome Demon Rajah claims her as his bride. A rich and romantic retelling of Beauty and the Beast in the style of a Bollywood epic. Novella, approximately 18,000 words. My first instinct, of course, was to hang onto this story for another five years. Partly because I haven't spent a couple of years polishing and tweaking it into perfection. Partly because it's, ahem, rather smooshily romantic (at least for me) and I don't want you all to get the wrong idea about Pendragon's Heir, which has tons of action, deeper characters, and a much less frilly setting, I promise you. Allright, yes, and partly because my family is still laughing at me about that Bollywood phase I went through a few years back. But then Christmas was upon us, and I thought, oh, why not let's have a giveaway! Enjoy! Meanwhile, I'll be taking about a week off blogging to get a holiday and to spin through my Annual Epic, which I hope to review shortly into the New Year. So, the latest news on Pendragon's Heir is that I've heard back from my last lot of beta readers, I'm doing one last quick polish before Christmas, and we have a release date! Blanche Pendragon enjoys her undemanding life as the ward of an eccentric nobleman in 1900 England. It's been years since she even wondered what happened to her long lost parents, but then a gift on the night of her eighteenth birthday reveals a heritage more dangerous and awe-inspiring than she ever dreamed of--or wanted. Soon Blanche is flung into a world of wayfaring immortals, daring knights, and deadly combats, with a murderous witch-queen on her trail and the future of a kingdom at stake. As the legendary King Arthur Pendragon and his warriors face enemies without and treachery within, Blanche discovers a secret that could destroy the whole realm of Logres. Even if the kingdom could be saved, is she the one to do it? Or is someone else the Pendragon's Heir? When Suzannah Rowntree isn’t travelling the world to help out friends in need, she lives in a big house in rural Australia with her awesome parents and siblings, trying to beat her previous number-of-books-read-in-a-year record. She blogs the results at www.vintagenovels.com and is the author of two non-fiction books, The Epic of Reformation: A Guide to the Faerie Queene and War Games: Classic Fiction for the Christian Life. 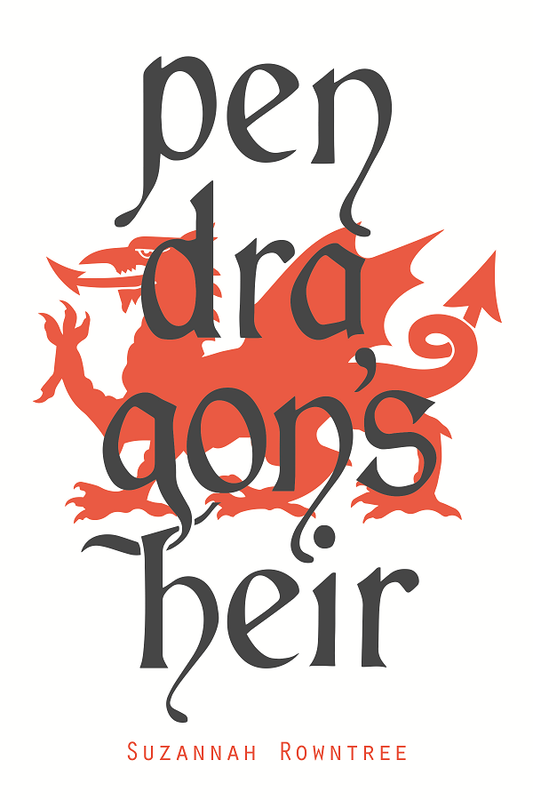 Pendragon’s Heir, her debut novel, springs from her lifelong love of medieval literature. Alea jacta est, as the Romans used to say in Asterix. Gracefully, finally, without farewells, marooned mankind. I crawl and cling, a planet with no bulwarks, out in space. Struck me as un crachat d’estaminet. The shapes of horse and woman, Athens, Troy, Jerusalem. Gregory Wilbur is my favourite modern composer. He writes song tunes which I find beautiful and intelligible, and since his CD My Cry Ascends, a collection of psalms and hymns set to lilting, Celtic-influenced melodies, crossed my radar more than a year ago, I've been listening to it over and over again. After a year’s more or less continuous play, it seems unlikely to pall on me. This is a hard thing to say. It may be a hard thing for you to hear. Originality is in some ways the gold standard of modern art—even of the popular stuff, the bestsellers and blockbusters. After all, we feel that art should add something new to the world. We love nonconformity. We want to see things we’ve never seen before. We want to be surprised. We love plot twists and hate spoilers. Our hankering for the newfangled drives the success of cultural phenomena like Harry Potter. If the public hadn’t known that JK Rowling finished every book with a shocking character death, would buyers have lined up at the stores first thing in the morning to grab the newest release? (At least, that was in Australia; perhaps in the US they turned up the night before). Or if George RR Martin’s fans didn’t laud him for abandoning tired concepts of heroism, idealism, and virtue in favour of unpredictability, realism, and amorality, would he be the most highly-respected fantasy author of the decade? Wace and Layamon would have sunk like stones in such an artistic marketplace. These Middle English authors have left their names to the history of English letters as the authors of two alliterative poems that tell the same legendary history of Britain and King Arthur, based on the same chronicler, Geoffrey of Monmouth. 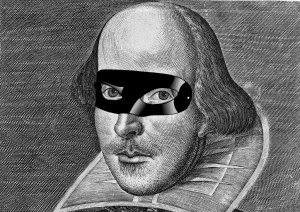 Shakespeare wrote thirty-eight plays. Only two of them—The Tempest and Love’s Labour’s Lost—have plots he invented himself. Seriously, how do you beat this? Originality leads to cultural inflation: it debases the currency of art. I once read an article in the Huffington Post, that dreary bastion of radicalism, which wondered how Beethoven’s music, considered transgressive and shocking at the time of its composition, lost its rockstar appeal. The answer, of course, is that someone a little more transgressive, a little more original, even more boldly dissonant than Beethoven appeared, and so by easy steps we degenerated to John Cage on one hand, and Freddie Mercury on the other. Those who make a name for shock value are doomed to be abandoned once someone more shocking comes along. If originality is the litmus test of quality, then the race is on; who can be most outrageous? The purpose, and the tendency, of originality is to displace what came before, not to celebrate and build upon it. When it’s already been done so well? Who needs to reinvent the wheel? Who needs to break the mould? I'm sure there are other ways of building churches, but we don't talk about them on Vintage Novels because they aren't this pretty. What I want to encourage is a mindset more skeptical of change for change’s sake. A mindset that seeks, not ways to be different, but ways to be the same. Why must you do it differently? You can do it if you must, but you need to convince me. I want syllogisms. Use the back of the paper to show your working. Marks will be awarded to arguments that are clear, logical, theological, and respectful of elders and betters. What is the purpose of Christian art? The purpose of Christian art is to glorify God and to enjoy him for ever. How does Christian art achieve this end? That they might set their hope in God, and not forget the works of God, but keep his commandments. In Christian discipleship, the audience may change. The tellers may change. 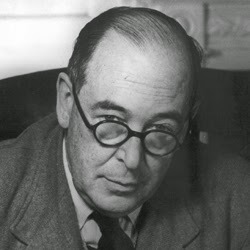 CS Lewis said in his poem that he was “compelled to live on stock responses.” His poem—and many of his writings, like The Abolition of Man—rebuked the yearning toward originality. To Lewis, originality was not merely an impediment to the purpose of art; it was in direct conflict with the purpose of art. For Lewis, as for many others, the purpose of art was to train the affections of its audience toward the good, the true, and the beautiful. Humanity being naturally sinful, naturally (in the medieval litany) “greedy, immoral, impious, ignorant, and slothful,” does not naturally respond to good, true, and beautiful things with reverence, submission, and love. It must be trained. Originality interferes with this process. Originality looks for new stories to tell. Originality hates stock responses, and thus it insists on making the beautiful appear ugly and the ugly appear beautiful. It insists on meddling with categories of good and evil, true and false. Originality gives us stories in which villains turn out to be misunderstood heroes. Originality gives us Hollywood movies purportedly based on Scripture, which cast God as childlike and vindictive, and His prophets as bigoted and mentally ill.
Stock responses, by contrast, set objective things before us and demand our submission to a reality we cannot control, edit, or reinterpret to suit our own ends. 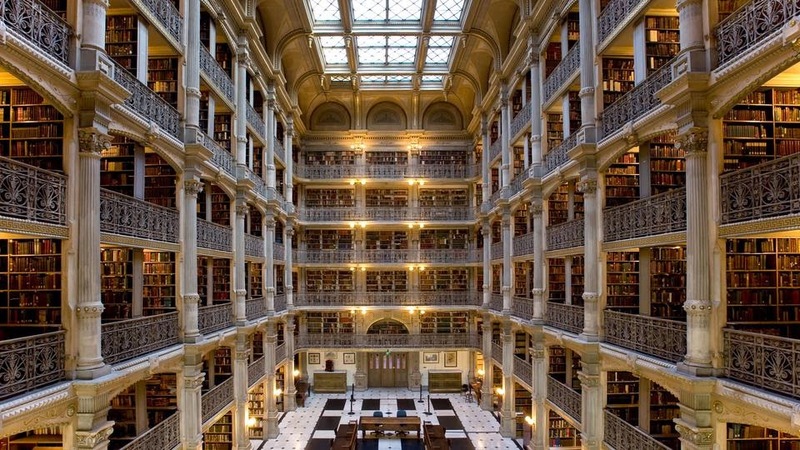 While we're at it, here, have a library. Our fathers’ suspicion of originality manifested in a reluctance to tell new stories. Here I become a little self-serving. I have often meditated upon the fact that my own novel is basically Arthurian fan-fiction. I am attempting to get over a feeling of inadequacy on that account. I am not God. I do not create; I subcreate. I must begin by copying God; surely it is a logical progression to go on and copy my fellow-men, especially when the story is a tapestry to which many better men than I have contributed over the course of centuries. The characteristic activity of the medieval—perhaps especially the Middle English—author is precisely “touching up” something that was already there. And this something may itself be the “touching up” of something earlier... The beginnings of this process—if it had a beginning any more definite than daylight has each morning—is often lost to us. Hence we might equally well call our medieval authors the most unoriginal or the most original of men. They are so unoriginal that they hardly ever attempt to write anything unless someone has written it before. 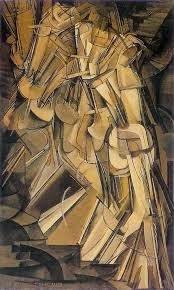 They are so rebelliously and insistently original that they can hardly reproduce a page of any older work without transforming it by their own intensely visual and emotional imagination, turning the abstract into the concrete, quickening the static into turbulent movement, flooding whatever was colourless with scarlet and gold. In other words, the medievals wrote the same way Mary wrote her great song: taking elements of what had gone before and remixing them into more of the same. I am not arguing for plagiarism. The medievals were always honest about where they got their materials, and generous in their own turn. Rather, I am arguing that the needs of the Kingdom and the purpose of Christian art is best served by an attitude that seeks to produce more of the same rather than something different. Nor do I argue that Christian art should go right on doing what it’s doing at the moment. No, I think Christian art is in a parlous state. I think we have embraced originality and Enlightenment categories of thought and sold our birthrights for a pot of message. I think we need to do an about-face. We need to look at the great Christian art that has gone before, and we need to use it like a medieval craftsman would: both copying and improving. We need to look at the blueprint for our culture, God's Word, and seek to apply it to more and more areas of our life; but the blueprint itself never changes, nor what it teaches. Because children have abounding vitality, because they are in spirit fierce and free, therefore they want things repeated and unchanged. They always say, "Do it again"; and the grown-up person does it again until he is nearly dead. For grown-up people are not strong enough to exult in monotony. But perhaps God is strong enough to exult in monotony. It is possible that God says every morning, "Do it again" to the sun; and every evening, "Do it again" to the moon. It may not be automatic necessity that makes all daisies alike; it may be that God makes every daisy separately, but has never got tired of making them. It may be that He has the eternal appetite of infancy; for we have sinned and grown old, and our Father is younger than we. Put another way, what woman, sitting down to a romance novel, is ever disappointed by the wedding at the end? One knows exactly what one is in for--and actually, it's a shame that only the romance novel industry deals in foregone conclusions these days. It takes humility and contentment to exult in these unsurprising things. 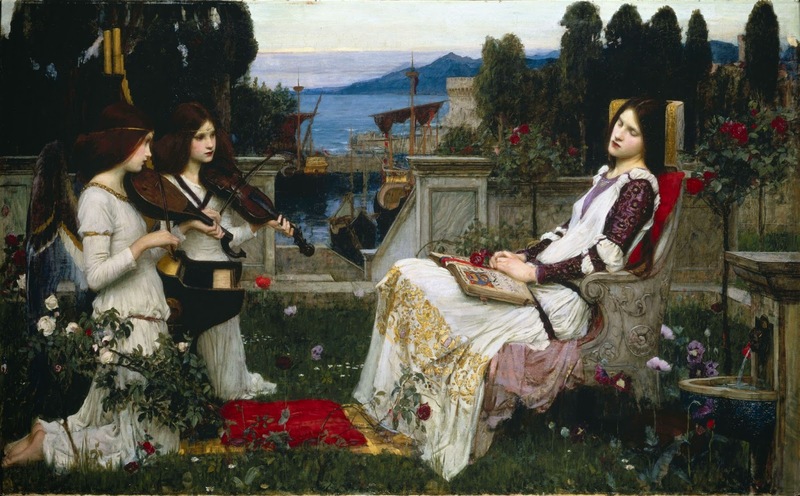 Waterhouse, for example, has never seemed particularly daring to me. But one likes him that way, doesn't one? So I'd really love to encourage you all to stop feeling that little twinge of guilt for making or experiencing art that isn't Stunningly Original. Stop feeling like having seen it all before is a bad thing. The real difference between bad art and good art, is just that: whether it's true good and beautiful, or whether it's evil, ugly, and lying. And, the beautiful thing about goodness? Goodness is no small thing. There is always a "further up and further in" to explore. Doing "more of the same" isn't going to limit us; not when 'the same' is...infinite. So, yes. I do feel that this particular choice of reading matter requires some explanation. Charles Williams (1886-1945) is perhaps best known as a close friend of CS Lewis's and, with him and JRR Tolkien, one of the three most prominent members of the Inklings. He was the author of various works of fiction and non-fiction, the latter including various works of literary criticism and theology. To say that he was an unusual fellow would be to put it mildly. He has often been called the most original theologian of his century, the kind of description that most orthodox Christians would mentally translate as "heretic". That said, I'm continually surprised by the truth and profound insight that underlie his writings. Many of Williams's novels--defying genre, they lie somewhere in the intersection of urban fantasy, magical realism, and supernatural thriller--deal with matters of magic and witchcraft. There are two distinctives of Williams's approach to these things. First, unlike Tolkien and Lewis, who often used the word "magic" to describe rightful authority, Williams always uses the word to describe evil and detestable arts designed to corrupt the user, things which war against the Church and with those characters in his novels who represent the co-inherent Body of Christ. Second, also unlike Tolkien and Lewis, and very unlike just about every other fantasy author you will ever meet, Williams's magic has a very authentic feel to it. When Harry Potter does magic, you don't for an instant imagine the same thing working in real life. Which Charles Williams's characters do magic, you feel that he knows what he is writing of. In fact, you feel that he knows more than he really ought to. All the same, I felt I had learned some valuable things about witchcraft from Williams. From him I learned to see it as petty, malicious, mindless, and stultifying. I began to understand how directly it stands in opposition to the two great commandments, to love God and one's neighbour. This was valuable. As a fantasy author who desires to tell the truth and stir my readers up to love and good works, I felt that I needed to have a solid and orthodox understanding of the topic. So far I knew what Scripture taught, and I knew what the Inklings thought, but I also wanted to know what the Church had taught on magic over the course of the centuries. 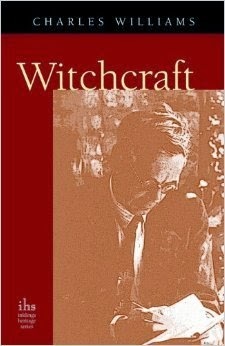 For this reason, when I discovered that Williams had written a history of witchcraft in Christendom from Augustine in the 500s to Salem in the 1690s--about a thousand years' worth--I thought it would make for profitable reading, especially since people I trust had recommended it, drawing particular attention to its balanced and temperate handling of the topic. Despite its brevity and the sensational nature of its topic, this book wasn't an easy read. With his peculiar vocabulary, Williams can be a little difficult to comprehend even in his fiction. Then, too, despite the arm's-length handling of the gory details, there were enough horrors referred to in this book--committed by both sides in the great war--to make the reading anything but pleasant. When I hit the chapter that describes the outline of what was supposed to have happened at the satanic Sabbaths (it's the one titled "The Goetic Life"), I definitely felt I'd learned more than I wished; I don't think such a detailed synopsis was necessary, here or in other parts. 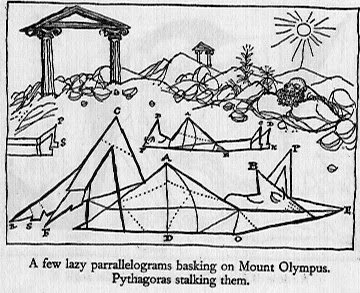 None of this information is given in a prescriptive manner, of course, or as an initiation into occult things. Williams's sources are accounts of trials, theological treatises, and witch-hunter memoirs--things that would have been widely available and widely read in their time. Not that these would necessarily be harmless: one of the awful things that crops up in the centuries of the great witch-hunts is the fact that preaching against witchcraft regularly resulted in spurious accusations and confessions of witchcraft. Still, despite the details, this was in many ways a wonderful and edifying book, and I'm glad I read it. My hope for the rest of this review is to provide a brief overview of the history covered, hopefully giving you some of the benefit of reading the book, with fewer of the gory details. We are used to thinking of the Middle Ages as a time of credulity, superstition, and innocent old women being burnt as witches. But as Williams shows, relatively few people were actually condemned to death for witchcraft before the 1500s, and at least some of these appear to have been horribly guilty, if not of pacts with the Devil, then at least of worshiping Satan, seeking to make such pacts, and sealing them in innocent blood--all in an attempt to gain power over life, death, and love. This is not to say that the medievals didn't have their own share of superstition. Early on Williams quotes Gregory the Great's Dialogues, a book that remained influential throughout the medieval period, and may have done much to encourage belief in supernatural happenings and the power of devils over the impious or careless. [A]n innumerable multitude, deceived by this false opinion, believe these things to be true, and so believing, wander from the right faith and are involved in the error of the pagans when they think that there is anything of divinity or power except the one God. Wherefore the priests throughout their churches should preach with all insistence to the people that they may know this to be in every way false and that such phantasms are imposed on the minds of infidels and not by the divine but by the malignant spirit. ... Whoever therefore believes that anything can be made, or that any creature can be changed to better or to worse or be transformed into another species or similitude, except by the Creator himself who made everything and through whom all things were made, is beyond doubt an infidel. The trials of Joan of Arc and Gilles de Rais occurring in France in the mid-1400s are a fascinating counterpoint to each other. Williams claims that Joan's trial was not simply a political matter: even the French, whom she had assisted, had their doubts about her abilities. Gilles de Rais, on the other hand, though an old comrade of Joan's, was so clearly and horribly guilty that the Maid appear perfectly innocent by contrast. I will not weary the world with a rehearsal of his crimes, though the power of that story, told with all Williams's great literary skill, is worth reading the book for. Claiming repentance, without torture, de Rais volunteered his own confession. The voice continued; murder after murder, pain after pain, loathsomeness after loathsomeness. Once someone screamed. The voice continued; murder after murder, pain after pain, animalism after animalism. The Bishop of Nantes stood up; the voice paused. The bishop went up to the Crucifix that hung over the seats of the judges, and veiled it. There were some things men could not bear that that carved image should see. The voice broke into repentant cries, to God, to the Church, to the parents of the dead. The bishop came down to the prisoner and embraced him, praying aloud that he might be purged and redeemed. There, clasped, the two stood. That, as well as torture, was the Middle Ages. They executed him, and then held a public fast to beseech God to have mercy on his soul. Love and justice, both to the nth: that was the Middle Ages, as well. deeds of infidels which arose from infidelity, though in themselves good, were in them deadly sin....In a witch therefore acts otherwise humanly good are evil, because her whole life is, pseudo-organically, evil. This made it possible to convict a person of witchcraft despite evidence of an otherwise good and religious life; the principle of knowing a tree by its fruit had been abandoned. The authors of the Malleus also acknowledged the possibility of witchcraft being something more than an illusion; it was a thing that could actually affect reality. The use of torture became the rule, especially for extracting confessions. A public reputation was enough to warrant arrest and torture, and the torture went on until the unfortunate accused confessed. The principle seems to have been "where there is smoke, there is fire." If enough people suspected or accused someone of witchcraft, then guilt was taken as proven. There is a law in Canberra, Australia, which functions in a very similar way when it comes to claims of sexual abuse. The witchcraft itself was not always an attempt to gain power through worshipping Satan. Plenty of people throughout the history of Christendom attempted to manipulate the power of God to their own purposes, all without quite stepping over the line into outright selling their souls. So the name of Christ was used in charms to force demons to do one's wishes. This was considered, at least by its practitioners (one thinks of names like Dee, Paracelsus, and Cornelius Agrippa), to be "white magic". Williams, however, insists that the supernatural is never static; again and again, in case after case, a little dabbling with "harmless" kinds of magic, foresight and divination for example, to see whether one shall marry so and so, or whether one's sons shall become king, eventually devolves into something more sinister, usually an attempt to bring about the foreseen good by means of philtres and poisons, as we see in the 1441 case of the Duchess of Gloucester, the 1616 case of the Countess of Somerset, and the horrible 1680 case of La Voisin, which was eventually stifled by Louis XIV when his mistress, the famous Madame de Montespan, was implicated. As Williams points out, "The great distinction between the Way [Christianity] and the Perverted Way was in the self-concentration of perversion. The great aim of the Ritual was to intensify the magician's power; that is, to intensify himself." The Bible calls rebellion "the sin of witchcraft". Insubordination, the thirst for greater power than God gives, has always been the temptation. The Court...put every possible difficulty in the way of proof. And it went as far as the Supreme Court, which was not primarily responsible, could go in expressing regret and making reparation for the affair of Navarre. Three times only has the Holy Spirit deigned to allow such repentance in such matters to be publicly recorded and known to the future. This was the first occasion; another was when a Bishop of Wurzburg instituted with the Augustinians of the city a commemoration of the victims--presumably a yearly Mass; another was in the village of Salem, New England, eighty years later. It is odd to think what the Supreme Court of the Holy Office in Spain and the Calvinist jury of New England would have said of each other, and yet how forward they both were to Christian righteousness. Coming when and where it did, the repentance of the Salem jurors on the edge of Christendom seems to carry with it an efficacious grace. Salem has been too long remembered for its witches and its trials; it ought to be remembered for its reparation. In that, in those thirteen good and Christian men--twelve jurors and one judge--by whom it was accomplished, it may be thought that our Lord saw Satan, as lightning, fall from heaven. The history of witchcraft, told in this clear-minded and sober manner, is much more relevant to our times than you may think. I did learn what I came to this book to learn, which was something of how the Church has taught on such matters in the past. But I think the most important things I learned here, I learned from the grievous mistakes made by the Church in addressing this great evil. Only in the last few weeks I've read people arguing from one side or another online that the use of torture is justified to extract information on terrorist attacks; it is impossible not to think of the hundreds of innocent victims of the torturers of the German Inquisition, who confessed to everything and anything in the hope that death by burning would be better than another day of torment. A little closer to home, it's difficult to read these tales of hysteria, accusations, and convictions on no more than suspicion, and not think of the witch-hunts that often occur when people these days are suspected of sexual abuse. This has happened to people I know of; as I say, there is a law in Canberra that will allow a conviction on evidence of "tendency" rather than solid proof. At the same time, it is important to recognise that real cases were not unknown, and that monsters like La Voisin and Gilles de Rais did exist and did commit horrible crimes. While it should be clear from this book, if nothing else, that the Church has not had a great track record of getting the balance right between healthy skepticism of outrageous claims, and serious prosecution of real crimes, there is much we can learn from the mistakes of the past. I would strongly recommend a careful and prayerful reading of this book to anyone who wishes to avoid the same mistakes: as Williams concludes, "The tale of witchcraft is a tale of the deception of virtue by itself." Find Witchcraft on Amazon or The Book Depository. Before we get on to the review, a quick announcement! The winner of the Goldstone Woods giveaway has been selected--Beth, congratulations, and I hope you enjoy your book :). Growing up homeschooled didn't mean that we never read school stories. On the contrary, we read and enjoyed all sorts of school stories, from Enid Blyton's Naughtiest Girl in the School to Talbot Baines Reed's The Master of the Shell. Oddly enough, however, I don't remember ever feeling the faintest curiosity about what attending an actual school would actually be like. Perhaps part of this lack of curiosity was due to Geoffrey Willans and Ronald Searle. --all of it irreverent ("the skool i am at...is uterly wet and weedy as i shall (i hope) make clear but of course that is the same with all skools"), endlessly quotable ("...as any fule kno"), hopelessly jingoistic ("the british are brave super and noble cheers cheers cheers"), and delicately absurdist (the series of illustrations titled, in turn "A GAUL marching into Italy", "A ROMAN marching into Gaul", "A Gaul and a Roman passing each other in the Alps", "A GAUL returning to Gaul" and--don't tell me you didn't see it coming--"A ROMAN returning to Rome"). It took the skool half an hour to realize that JASPER the headmaster was dead murdered by the prunes. Then all the masters quareled who would wield the kane. 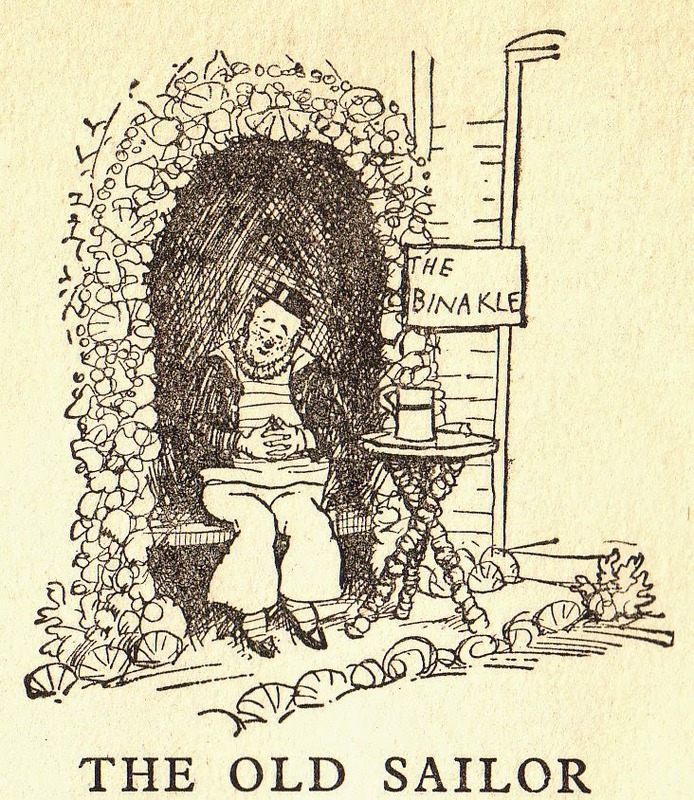 At molesworth's table he was recovering from a siesta when the news was brought. "The prunes are openly revolting." 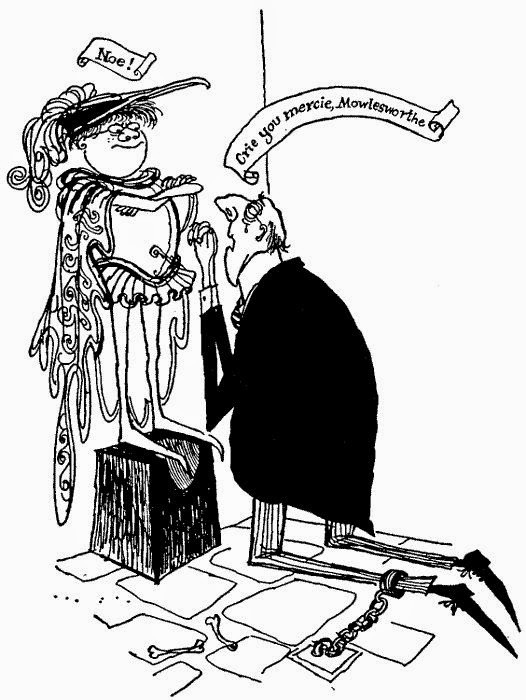 molesworth by a grate act of heroism choked back the quip which rose to his lips. "Sound the alarm," he cried. CORTICUS:(laying a skin of wine at the sideboard) Eheu! (The curtain falls as the masters roll helplessly in the aisles.)" And if the title of this scintillating drama reminds you of anything, yes, it does seem certain that JK Rowling has read these books, "Hogwarts", "wizard wheezes" and all. Perhaps it was for this reason that when the BBC recently made an audio recording of the books, they chose Harry Potter star Rupert Grint to narrate. I'd be the first to admit that Down With Skool doesn't even have the excuse of 1066 And All That, of being really rather informative in a misleading and hilarious way. What it is is clever, absurd, and a well-loved part of my childhood. Long may it be enjoyed--and, down with skool! Find Down With Skool! 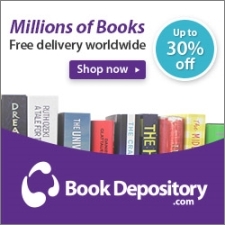 on Amazon, The Book Depository, and Open Library. Before I get started, I have a favour to ask of y'all! I'm hoping to do a release date announcement for Pendragon's Heir sometime in the next two or three weeks. If this book is something you're excited about, and if you have a blog of your own, and if you'd like to help with getting the word out via release announcement posts, cover reveals, and/or applying for advance review copies(!!!) please email me at rosa(dot)gaudea(at)gmail(dot)com! I'd love to hear from you! 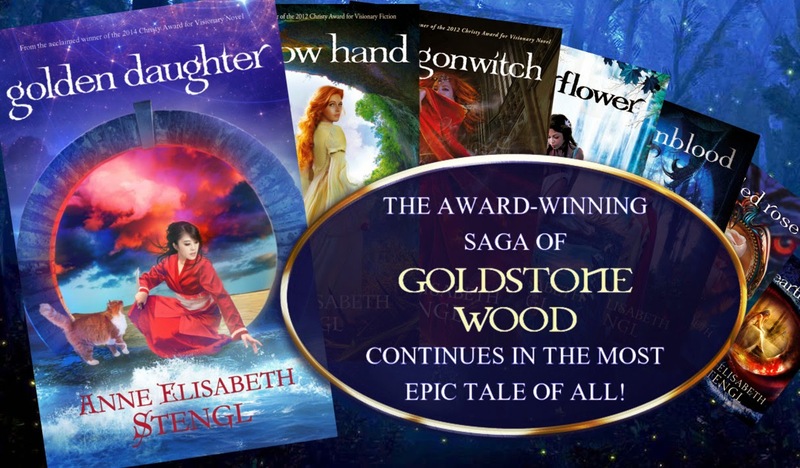 Also, just in case it slipped your notice, there are still two days left for you to enter to win a signed copy of one of Anne Elisabeth Stengl's Tales of Goldstone Wood. Today I'm going to post a poem, because it's one of my favourite things to do and also because I am at one of those awkward book-review stages where I am about a quarter of the way through a stack of books and not quite ready to review anything yet. Then he thought as he started, “Oh, dear and oh, dear! When he thought, “But I must have boat for escape. 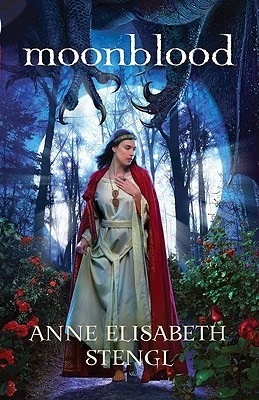 Today I’d like to review Anne Elisabeth Stengl’s award-winning Tales of Goldstone Wood series as represented by the first three books of seven: Heartless, Veiled Rose, and Moonblood. As a few of my friends have observed, there seems to be a dearth of good reading available for girls in their early teens. At this point, girls are usually intellectually ready to move on from children's books, but might not yet have the emotional maturity to handle more intense, adult-oriented works. Unfortunately, most of the books targeted to this age range are insubstantial, fluffy teen romances—exactly the kind of thing that will make it all the more difficult for their readers to cultivate maturity. That’s why reading—and reviewing—Anne Elisabeth Stengl’s books for Vintage Novels is such a delight. Although readers of every age should be able to read them with equal enjoyment, The Tales of Goldstone Wood stand squarely in this breach. They are well written. They are intricately plotted. They are beautifully imagined. They are touching. They are clear-headed. They are encouraging. They are just what we need. The first book in the series introduces us to Princess Una of Parumvir, who daydreams about being swept off her feet by a handsome lover—but none of the men who come to “pay their respects”, from the disappointingly ordinary and responsible Prince Aethelbald of Farthestshore, to the downright creepy and terrifying Duke of Shippening, are exactly what she imagined. Neither is Leonard, the wandering jester in exile from the dragon-ravaged land of Southlands, but Una gives him her heart anyway—and so, when the Dragon comes to Parumvir, he finds Una ready to succumb to his deadly purpose. For a while, although friends recommended them, I wasn’t sure if the Tales of Goldstone Wood were going to be my cup of tea. To begin with, the bright sparkly covers. To go on with, the characters with names like Lionheart and Daylily. To finish up with, the publisher, Bethany House, that purveyor of inspirational romance novels. This is a book that walks you through many of the foolishnesses teenage girls are likely to commit, and demonstrates quite unflinchingly the heartbreak and even the captivity to which they are likely to lead. Its romance is common-sensical almost to a fault—and it’s all capped off with a lovely but unobtrusive allegory of salvation. Book two introduces us to Lionheart, Prince of the Southlands, and two young women who come to love him. There’s Rose Red, Lionheart’s childhood best friend, who lives in the mountains shrouded with veils, with no one but an old gardener and a pet goat for company. 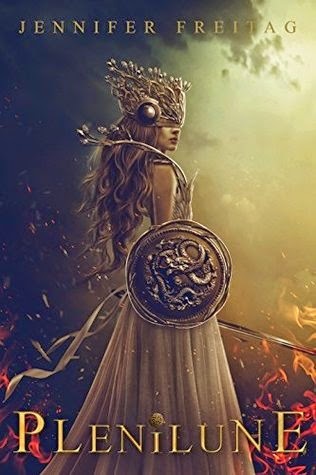 Then there’s Daylily, cold and fiercely ambitious, who is sent by her father the Baron of Middlecrescent to tempt the young prince into marriage—but loses her own heart in the process. Then a monster from Rose Red’s worst nightmares comes to life, and Lionheart drives a terrible bargain with a woman who claims to have won him in a game of dice with Death itself. While Veiled Rose shows better craftsmanship than Heartless, its dependance on that book for an important part of its plot, plus its broader scope—this is only the first half of a story completed in Moonblood—make it a little messy. All the same, the world and characters have visibly grown: the symbolism is more subtle and multi-layered and the characters, never flat, have additional levels of complexity. I need not have worried about the names: Lionheart and Daylily may sound sugary, but they are weak, flawed, antiheroic characters in desperate need of repentance and salvation. Just as in Heartless, the book is thoroughly edifying. I always love books where parental authority, justly wielded, is a good thing. When was the last time you read a book where a main character is advised, “Your father loves you. Trust him. Obey him”? Or where the deadly villainess reveals her dastardly plan—“to get him on the path to self-discovery”? Book three of this series resolves—if it doesn’t perfectly tie off—the story begun in Veiled Rose. Moonblood is the best of the series yet: a stunning multi-stranded story of despair, enchantment, illusion, love, trust, treachery, forgiveness, and redemption. The Lady Life-In-Death has promised Lionheart that he shall have his dream: the kingdom of Southlands. For that he has sacrificed the heart of his one true love. For that he is about to marry the well-connected beauty Daylily. And for that, once the people of Southlands blame his servant Rose Red for their sufferings under the Dragon, he banishes his most faithful friend to the Wilderlands where a fallen star, enslaved to the goblin king of illusion-woven Arpiar, lies in wait. When the Prince of Farthestshore deprives Lionheart of Life-In-Death’s protection and guidance, Lionheart loses everything. Everything except one last journey to find and rescue Rose Red from an otherworldly kingdom which no one has seen for five hundred years. Will Lionheart finally let go of his excuses, and find the courage to lay down his life for another? I loved this book—as if the author, having worked through two books’ worth of set-up, suddenly found her groove and ran with it. Characters and places formerly only dimly perceived on the borders of these stories are suddenly pulled into them. Finally, we get the opportunity to adventure through the mysterious Wood Between to other worlds. Finally, we see the Knights of Farthestshore adventuring side by side. There’s a huge amount of richness in the worlds that Anne Elisabeth Stengl has conjured up. The imagery is deep with allusions to and reminders of other stories, from the rose-wrought palace of Arpiar that is something like Beauty and the Beast in reverse, to the stone princes at the table of Ragniprava that remind one of the sleepers in The Voyage of the Dawn Treader. The Wood itself, and the Knights of Farthestshore that journey in it, each of them with his or her own backstory, are strongly reminiscent of The Faerie Queene. Then, as I’ve come to expect, Anne Elisabeth Stengl enriches her lovely story with echoes of wisdom and eternal truth. I loved that when redemption came to the characters, it did not come cheap: even the fallen star had to die. Finally, although there are three love stories in this novel, every single one of them was handled in ways you wouldn’t expect. Sir Oeric’s was the most conventional, in that it actually resolved at the end (in a scene that had me misting up). All of them were very poignant and tender, but none of them took over the main point of the plot, which was the need for redemption, a greater love and a greater service. Not only did this keep the romantic subplots in perspective; it also, I believe, allowed for more unconventional plot development within the romances themselves. To conclude, The Tales of Goldstone Wood are so far a rich, satisfying, and evocative fantasy series with roots in the folklore and fantasy of all Christendom. While I’m most excited to recommend them to younger audiences who have so little of this quality to read, I think they should appeal to every age: they are quite simply, good stories, told well. So, do I have your interest yet? One of the exciting things about featuring contemporary fiction on my blog is the opportunity to invite the author to come and talk about her books! Anne Elisabeth Stengl was kind enough to answer a few questions for us. Stick with us, because she’s also offering a giveaway—the winner’s choice of any of the first 6 books in the series! 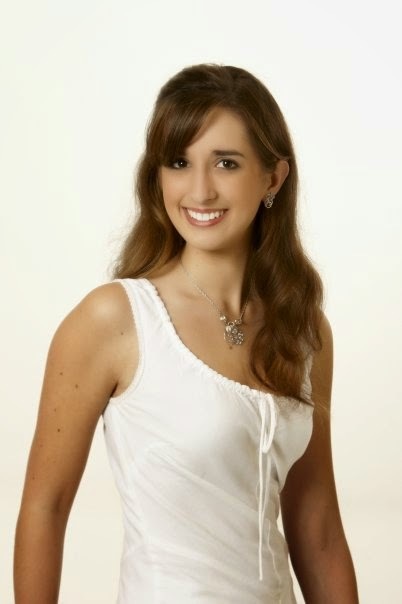 Hello and welcome to Vintage Novels, Anne Elisabeth! I’ve really been enjoying your Goldstone Woods books. They feel like they were grown in a rich soil of other stories. What are some of the other stories that the Tales of Goldstone Wood grew from? The Tales of Goldstone Wood sprang from many sources, probably more than I can name. Off the top of my head, direct sources I can think of include Book I of Spenser’s Faerie Queene, “Childe Roland to the Dark Tower Came” by Robert Browning, “Rime of the Ancient Mariner,” by Samuel Taylor Coleridge, the myth of Orpheus and Eurydice, and Photogen and Nycteris, by George MacDonald. Oh, and the “Ballad of Tam Lin.” And various legends of St. Patrick. And snippets of Shakespeare . . . And readers don’t have to delve far into my series before noting many classic fairy tale themes harkening back to “Beauty and the Beast,” “Cinderella,” “King Thrushbeard,” and more. Seriously, I don’t think I can list all of my sources. Many of them are unconscious sources as well. 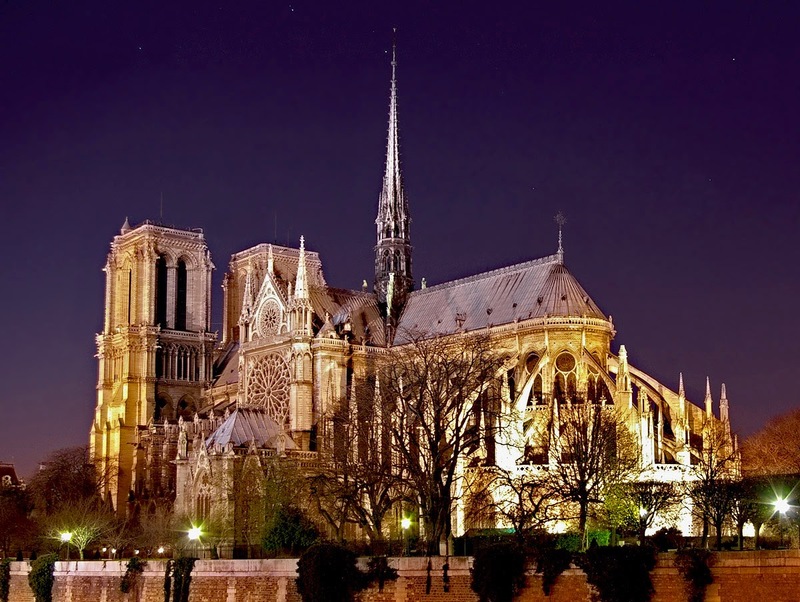 For instance, when re-reading my sophomore novel, Veiled Rose, a year ago, I noticed subtle influences from Victor Hugo’s The Hunchback of Notre Dame, which were never overtly intended. 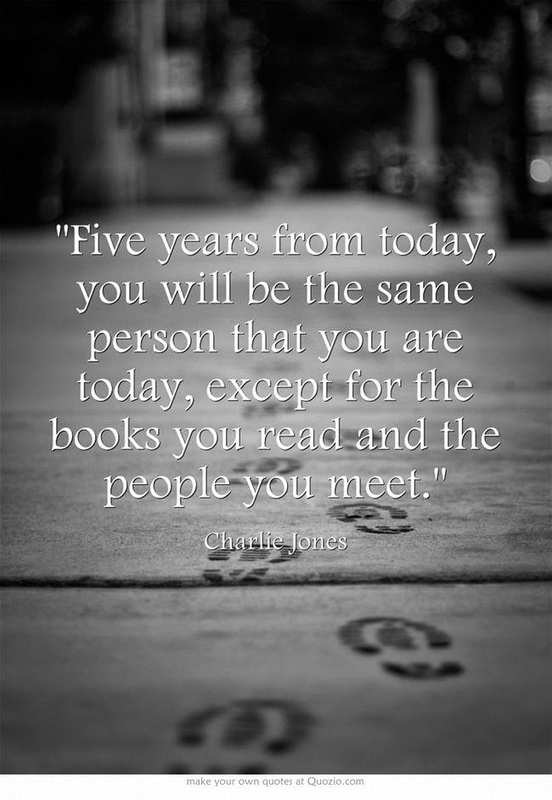 And, of course, many readers have drawn parallels to C.S. Lewis’s Chronicles of Narnia, particularly Eustace’s draconian transformation featured in The Voyage of the Dawn Treader (though my own interpretation of the dragon-transformation side of things stemmed more from Bram Stoker than from Lewis). My goal when I set out to write this series was to create a world that gave readers a strong sense of familiarity. I wanted them to feel as though they had somehow encountered this world before, though the stories themselves are brand new. A solid grounding in classic literature and mythology serves to make the world of Goldstone Wood feel more real. At least, that’s the hope! I love the very wise and edifying way you handle the romance subplots in your stories. In including romantic elements in your plots, how and where do you draw the line between the helpful and the unhelpful? Honestly, I don’t think I’ve ever stopped to consider whether or not a romantic thread is “helpful” or “unhelpful.” My intention has always been to write authentic stories, including authentic romances. If the resulting storylines are a blessing to my readers, so much the better. I do hope that authentic characters dealing with authentic (if sometimes rather fantastical!) situations will serve to inspire and encourage those who read my work, but I don’t write with an agenda. Or rather, I don’t write with an agenda beyond writing the truth. And the truth is, people are flawed and they will hurt one another; but grace is always beautiful. Fantasy has long been a traditional Christian playing-field, and that was even before the Inklings. Do you think fantasy as a genre is particularly apt to conveying Christian truth? If so, why? Fantasy is the ideal form for writers of every faith and creed to try to make sense of the world around them, for the fantasy genre is by nature symbolic. From the “Epic of Gilgamesh” on, storytellers have used fantastical characters and inventions to express difficult ideas to their fellow man. It is only natural for Christian writers to continue in this tradition. And the symbolic nature of the genre opens convenient doorways for allegorical themes to be slipped into compelling narrative without harming the integrity of the story being told. It really is a wonderful genre when you think about it . . .
From what I hear, you were home educated by an award-winning writer mother! Were there any things that your mother did with you growing up to develop and hone your writing skills? My mother demonstrated a passion for storytelling that was always inspiring. She modelled dedication to her craft and a willingness to grow and develop over the years. She always encouraged me to write. . . but she didn’t give me writing assignments. She didn’t edit my work or even read it unless I specifically asked her to. She remained hands-off, allowing me to develop my own voice and style quite apart from hers. It was the most inspiring thing she could possibly have said to me. These days she is my first reader for everything and sees absolutely every single draft of every book, even those drafts I would die before I let anyone else read. She is my primary brainstorming partner, encourager, and editor. But when I was younger, she did for me the very best that she possibly could—she left me alone to become the writer I was meant to be. And finally, what would you say are the main things you hope to cultivate in your readers through your books? Ultimately, every one of the Tales of Goldstone Wood is a story of undeserved grace. If the saying is true, and every writer really only has one story to tell in as many different ways as she can, this is my story: People are fallen, broken, and more often than not their own worst enemies; but grace is sufficient, extending even to the most unworthy. Every character I write, both “good” and “bad,” reflects this same message. If my readers can walk away from a Tale of Goldstone Wood with a deeper understanding of this grace and its marvellous beauty, I am satisfied. Thanks so much for talking to us, Anne Elisabeth! I’ve been so excited to discover your books and I look forward to watching them do good work for the Kingdom in the future. ANNE ELISABETH STENGL makes her home in North Carolina, where she lives with her husband, Rohan, a kindle of kitties, and one long-suffering dog. When she’s not writing, she enjoys Shakespeare, opera, and tea, and practices piano, painting, and pastry baking. 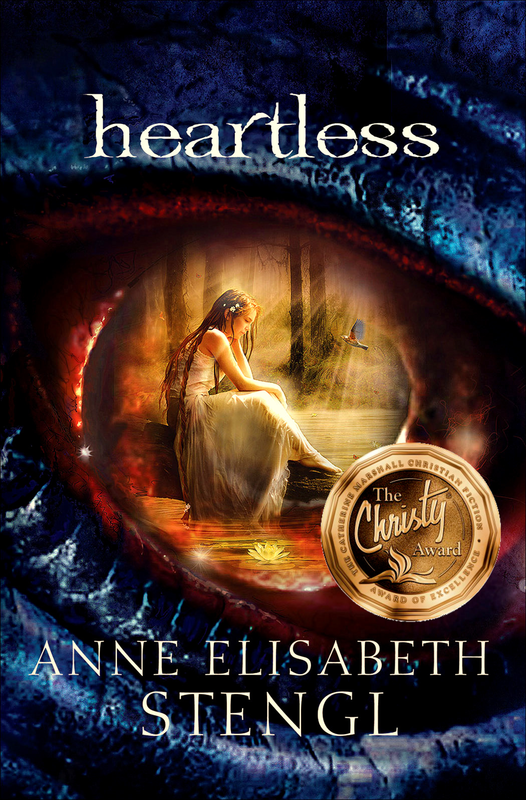 Her novel Starflower was awarded the 2013 Clive Staples Award, and her novels Heartless, Veiled Rose, and Dragonwitch have each been honored with a Christy Award. Win a signed copy of one of the Tales of Goldstone Wood! The winner gets to choose from Heartless, Veiled Rose, Moonblood, Starflower, Dragonwitch, or Shadow Hand! Or if you've read those already, check out the most recently released title, Golden Daughter, on Amazon. Flannery O'Connor got onto my to-read list years ago, when Credenda/Agenda, that obscure and irreverent magazine of cultural observation and what it called "Trinitarian skylarking" (one edition ran with a cover depicting a romance-novel clinch with kickstarter leads attached to the hero's bare chest), ran a whole issue revolving around a mid-century author of grotesque and disturbing short stories set in the American South. It took me a few more years to unearth a copy of O'Connor's famous short story A Good Man Is Hard to Find online. A year or two after that, I picked up a whole collection of her stories at a second-hand book sale. And this, after five or so more years, I have now read. I'm not going to summarise the stories, except to say that they generally revolve around unpleasant characters who, after several pages of passive-aggressive verbal sparring with other, equally as unpleasant characters, are usually crushed by some bizarre and brutal act of violence--sometimes perpetrated against, sometimes by, themselves. O'Connor is hard going, especially if you are unused to what most Goodreads reviewers liken to being beaten up in a dark alley. (Last week, I read a volume of Eva Ibbotson short stories which just about gave me diabetes). "This collection is like a crescendo of awfulness, brutality and despair. Physically it's sort of akin to getting kicked in the stomach." "Flannery O'Connor feels like a verbally abusive boyfriend that you just keep going back to. You sigh a bit deeper at the end of each tale, feeling a little more defeated by the uglier sides of existence." At this stage, you might be pardoned for thinking that O'Connor must be the modern to end all moderns, the kind of person who writes ugliness, evil, and lies with no regard for goodness, truth, or beauty. You'd be wrong. "Severely orthodox," says Hermione Lee of O'Connor's stories, in the Introduction. "Easily the most important and talented and self-consciously Christian short story author of the twentieth century," says Douglas Jones in his Credenda/Agenda editorial. And, according to Dean Koontz, "No one has written better about the reality of evil. Few have written as well, with such sharp-edged compassion, about the weaknesses and follies of humanity, about the operation of grace in our lives and about the necessity of humility." Koontz sums O'Connor up very well. Each of her stories is about pride and hypocrisy falling afoul of grace, Divine grace, a pitiless grace that burns and batters and bloodies, in a world where the most common symbol of Christ is a looming and ominous sun that stalks the characters through the woods. O'Connor's vain and self-righteous characters come in different flavours: many of them (like Mrs Turpin in Revelation) are respectable middle-class church people with much similarity to the pharisee in the parable of Luke 18, but just as many are equally smug young intellectuals on a self-appointed mission of social justice, usually to blacks or white trash. By the time of her last two stories, Parker's Back and Judgement Day, O'Connor is busy at work on them as well: Nothing is sacred but the judgement and mercy of Christ. From A Good Man Is Hard to Find, I knew something of O'Connor's modus operandi. "She would of been a good woman," says the serial killer of the main character's repentance, "if it had been someone there to shoot her every day of her life." The bullet delivers grace; in the old expression, there are no atheists in foxholes--and no smug church ladies either. All the same, I found this collection hard to come to grips with: there's a lot of work the reader needs to put in to perceiving the currents of manipulation and aggression swirling throughout the long build to the climax. It wasn't until the fourth story, The Enduring Chill, that everything began clicking into place for me. One of the few stories in which the grace is delivered by something worse (at least to the character in question) than death, this was a particularly overtly Christian story, one that helped me discern the themes in the more subtle stories, as well as being less jarringly brutal and more obviously funny. 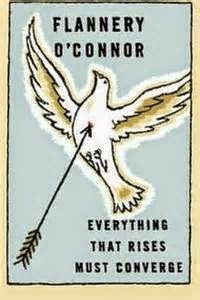 (And I suppose O'Connor is funny, if you like very black humour, though I did appreciate the Negros' cheerfully ironic flattery in Revelation, and the hapless Parker's courtship in Parker's Back). when you read a group of her stories, a pretty amazing pattern emerges. You soon realize how her visitations of dark grace stand out as huge gifts when compared to actual life. Most people's actual lives seem to be Flannery characters who never have the privilege of meeting dark grace. ...But in Flannery's world, it's as if dark grace intrudes regularly. People who would have probably been handed over to let their sin slowly destroy them get this amazing explosion of grace that turns them inside out. Because of this, her stories start to read like gift after gift after gift. I'm not sure that I got far enough to see them like this, but I did notice something funny. After a few Flannery O'Connor stories, I started to get that familiar scorching sensation that comes with a wise reading of Jane Austen: I began, wincingly, to see myself in her ugly characters. It's an experience I recommend you seek out, as often as you can bear it. Find Everything That Rises Must Converge at Amazon or The Book Depository.